If you're looking to upgrade your shower but you don't want to spend a fortune, a rain shower head might be the answer. Designed to mimic the sensation of falling rain, rain shower heads are a luxurious way to get clean and add a stylish flair and spa-like experience to your own showers at home. Unlike traditional shower heads, rain shower heads are typically larger and contain more small holes (nozzles) from which the water flows, which creates the relaxing sensation of standing in the rain. They come in various sizes and styles and all offer different experiences. To help you find the best rain shower head for your bathroom, here are the top-rated options on the market today. For price and performance, it’s hard to beat this rain shower head from Aqua IV. In sum, it's a great way to tap into all the luxury of a rain shower head without the high cost and timely installation of other higher-end models. 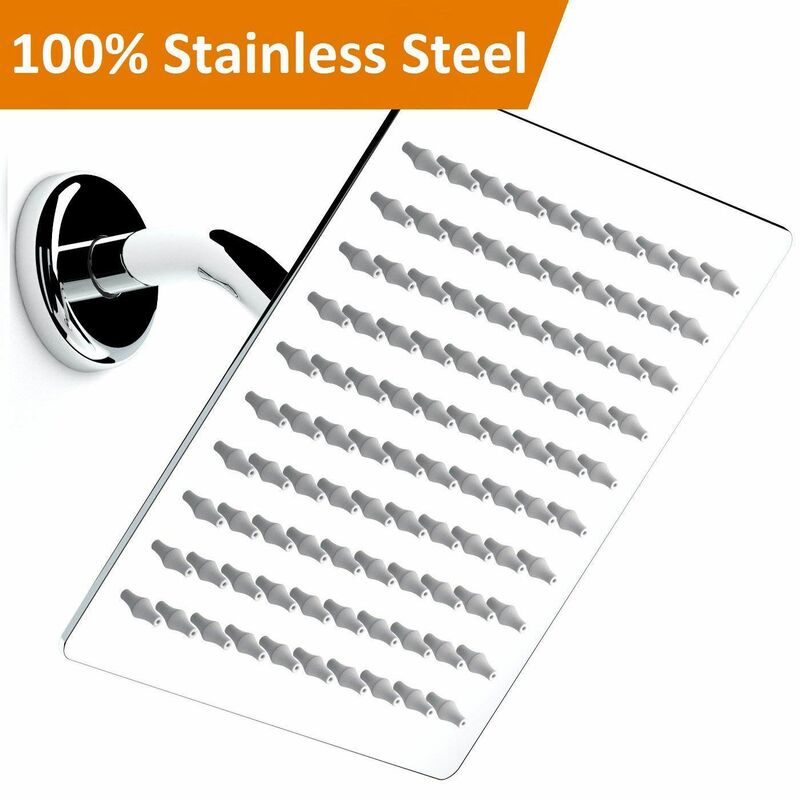 The square, stainless steel shower head measures 8 x 8 inches and it’s thin, at just 2 mm. 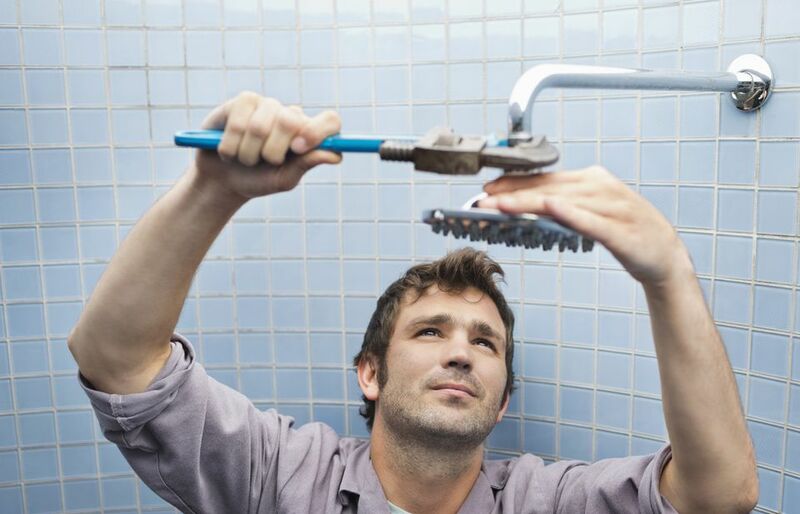 The manufacturer promises that you can install it in just a few minutes without any tools—just unscrew your old shower head and screw on the new one after applying some thread sealant tape. Then you’re ready to step into your new, luxurious shower. It has 100 silicone nozzles and is mounted on a swivel ball so you can direct the spray in the direction you like. It comes with a two-year warranty, and customers say it’s well-made, easy to install, and the flow is strong. The only danger: You’ll be tempted to stay in far too long. For all the spa-like luxury of a rainfall shower without a sky-high price, there’s this rainfall shower head from SR SUN RISE. Ultra thin, this round shower head is 12 inches in circumference. It also comes in several other sizes and in square models as well. The price tags for all of them are significantly less than other rain shower heads. This one uses air energy technology to ensure a steady flow, even if your water pressure isn’t top notch, and the manufacturer says installation is so easy, you don’t even need tools to get it up and running. Customers say it’s well worth the money. They like its sleek look and gleaming chrome finish and note that the flow is great and the experience is relaxing. While the steady beat of rain is relaxing, sometimes you’re more in the mood for a light sprinkling than a heavy downpour. This shower head from Moen allows you to control the flow to get just the right shower experience. It boasts a spray that’s three times more powerful than most other rain showers, but a lever allows you to adjust it according to your preference. The round shower head measures 8 inches in diameter, has 100 nozzles and is finished in a shiny chrome. Made by Moen, one of the leaders in the industry, it’s built to last and comes with a limited lifetime warranty too. Customers say it’s well-made and easy to install. Many note that the flow is excellent, but you should remove the water flow restrictor first. For luxury and convenience, this Kauai Rain Shower system delivers both. It combines an overhead rain shower with a hand shower to use when you want to direct the water and get an up-close clean. The hand shower and brass soap dish can be slid up and down to your height preference, and you can easily switch between the functions or use both at once. The rain shower head measures 8 inches in diameter, and the system is available in chrome, brushed nickel or oil-rubbed bronze. Customers say it’s beautiful, and they love the adjustable height. Many also note that installation is simple, and say the manufacturer’s online how-to video is helpful. At a moderate price, this rain shower head from HotelSpa is a fantastic choice for a luxurious shower experience. The 10-inch stainless steel shower head is mounted on an adjustable arm, so it can move up and down to the height and angle you prefer. Thin with a shiny chrome finish, it’s sleek and stylish too. Customers say it works great, looks great, and it can be adjusted easily so family members of differing heights can shower comfortably. They also note it’s easy to install and is an excellent value for the price. If you want to feel like the whole sky is raining down on you, there’s this rain shower head from Alfi. While it’s super thin (just about 1/16th of an inch), it’s an impressive 16 inches in circumference and boasts 234 tapered nozzles, so it’s like a big cloud over your head sending down its drops. Made of brushed stainless steel, it’s likely not to show fingerprints as much as other surfaces. The ceiling-mounted model also has a swivel adapter so you can angle it as you like. Customers give this shower head high marks. They love the large size and note that the price is much more affordable than other models. They say it looks great and truly feels like you’re standing right in the middle of a warm rain shower. If your shower is on the small side, a giant shower head may be too much, but this smaller model from ShowerMaxx is just right if space is tight. It boasts all the soothing rainfall experience, but at just 6 inches in circumference, it doesn’t take up a ton of space. It comes in four finishes—brass, brushed nickel, chrome and oil-rubbed bronze—so it matches any decor, and its 90 jets provide a strong, steady flow. A flow restrictor can be easily removed to increase the pressure even more. The manufacturer promise sit can also be installed easily in just about 5 minutes, and customers confirm that’s the case. For all the magic of a rain shower head plus the convenience of a wand, there’s this combo set from SR SUN RISE. The square shower head measures 10 x 10 inches, and the set is sleek, modern and finished in polished chrome. It also boasts Advance Air Injection technology, which promises more water pressure while saving water. Customers rave about this shower combo both for its looks and its performance. Some note that installation isn’t easy, and the directions could be clearer, but once it’s in place (many have it professionally installed), they say the amazing showers it provides are well worth it.